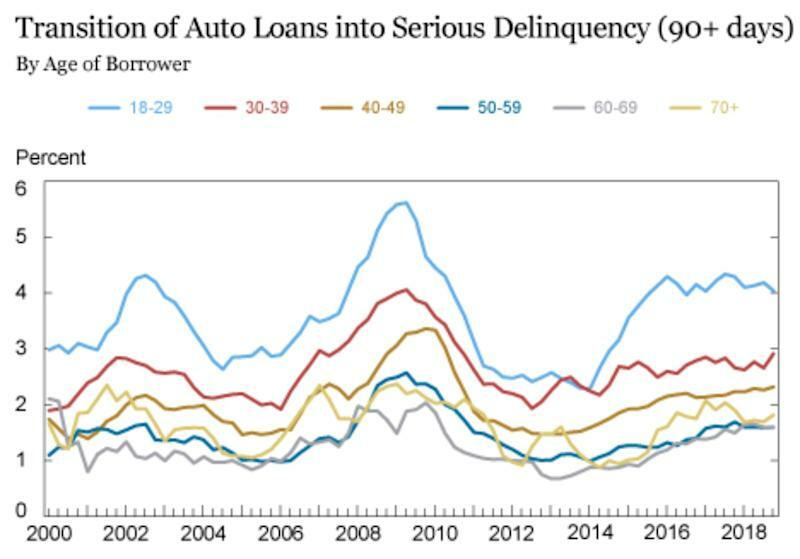 A record seven million Americans are more than 90 days late on their auto loan payments, and millennials are clearly leading delinquency rates, according to a report by the New York Fed. The NY Fed found that the number of new auto loans and leases appearing on credit reports in 2018 reached a new peak — the highest level in the 19 years they have monitored the data — at $584 billion. And as seen in the graph below, borrowers between the ages of 18 and 39 — Pew Research identifies millennials as anyone born between 1981 and 1996 (ages 23 to 38 in 2019) — have the worst delinquency rates as compared to other demographics. 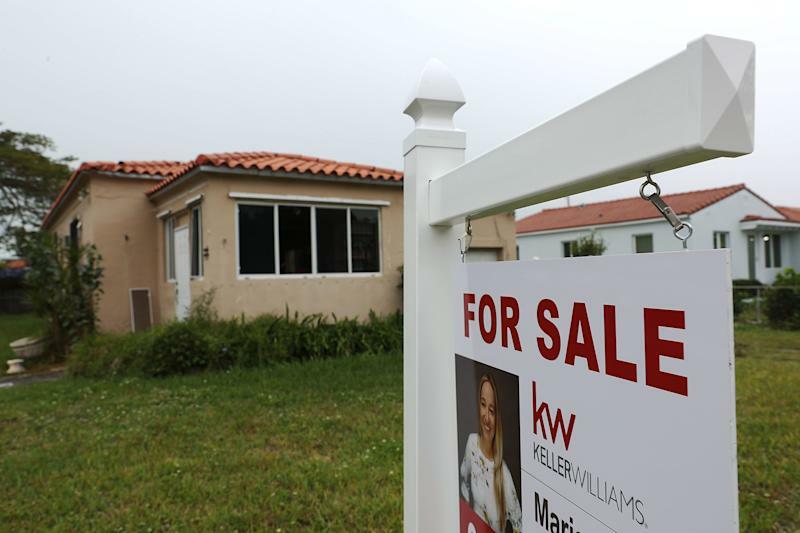 The researchers said that overall, the end of 2018 saw “more than a million more troubled borrowers than there had been at the end of 2010,” when the overall delinquency rates were at their worst on record. Auto loans have also surged by almost 35 percent since the Great Recession according to additional data. “The substantial and growing number of distressed borrowers suggests that not all Americans have benefitted from the strong labor market and warrants continued monitoring and analysis of this sector,” the report concluded. 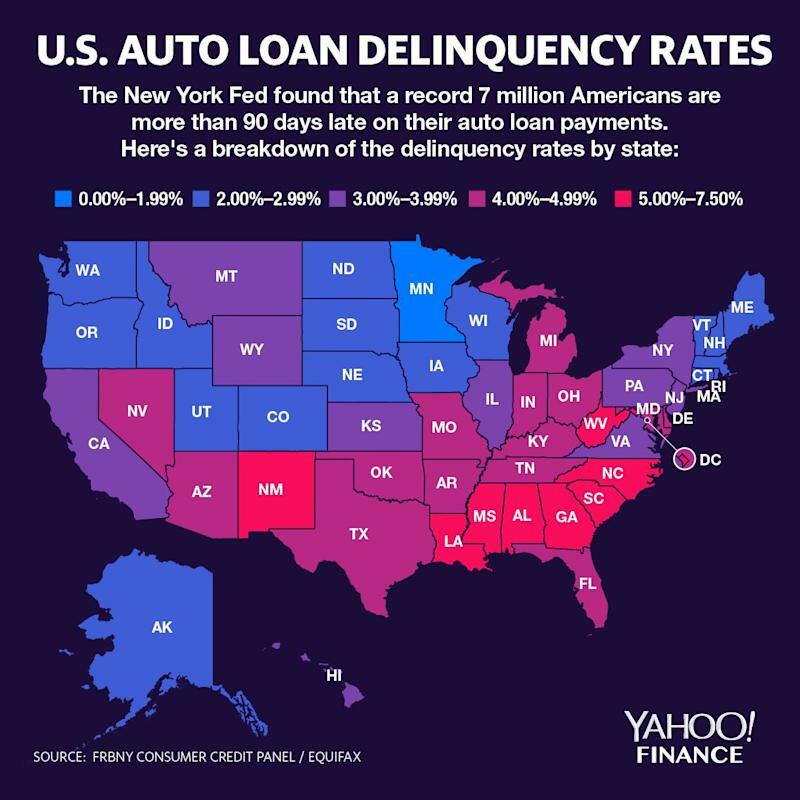 A Yahoo Finance analysis of the NY Fed data revealed that many of the higher delinquency rates are concentrated in the southeast, with states like Alabama, Georgia and Mississippi looking at the highest levels. 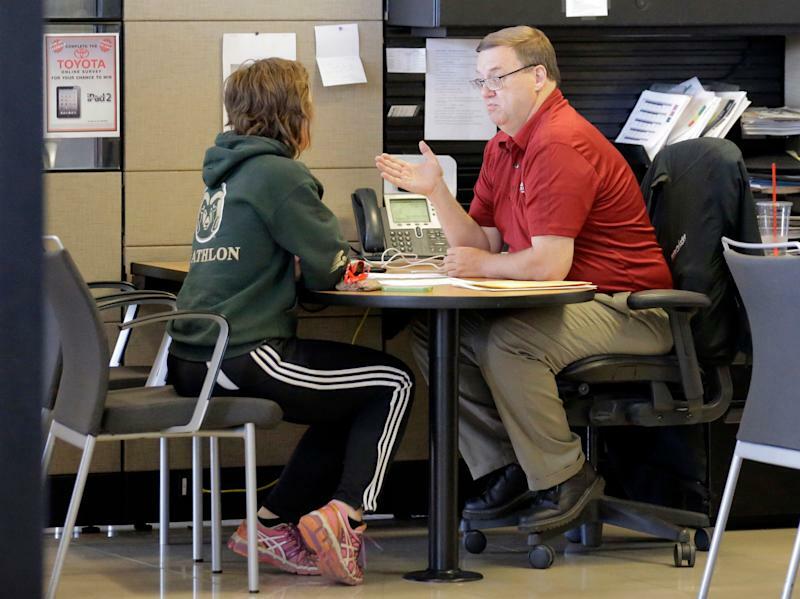 Millennials with poor credit may be a key contributor to the trend. McBride explained that younger people don’t have a long and established credit history, which results in them being classified as non-prime borrowers in addition to depriving them of access to financing options from credit unions or banks. Other economists strongly rejected the idea that the rapidly increasing number of delinquencies represented a threat to the economy.